Situated opposite the Heritance Negombo is ‘The Banyan’ – a fine dining space built by the hotel for outside guests who would like to dine in, either indoors or by the side of the road. The Banyan includes three wings - ‘Mad Dogs Bodega’, ‘Rouge Lounge’ and the ‘Swiss Bakery and Café’. 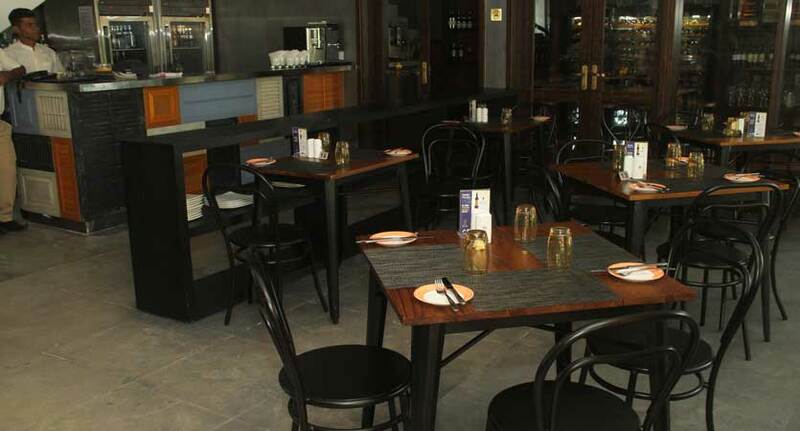 Mad Dogs is known for its exotic selection of tapas and pizza in addition to an attractive range of wines which could be tasted at its cellar. The Rouge Lounge is a cosy bar with lavish hues of red furniture filling its interior. It’s usually frequented by those who like to spend some quality time with their friends usually with a live band playing in the background. The Rouge Lounge offers a fine selection of spirits and juices along with snacks, bar bites, starters and other delicacies. The Swiss Bakery and Café serves all sorts of Swiss specialties such as Danish pastries, macaroons and bakery treats such as bread. It also serves as a café for those who would like to grab a quick coffee. On our visit to The Banyan, we decided to dine at the Mad Dogs Bodega. To start with, its ambience was one-of-a-kind. A spacious indoor and outdoor dining area awaits anybody who would like to grab a smoothie, a tapas or a main meal. As soon as you enter Mad Dogs, you will be greeted by a brigade of busy chefs at work in the kitchen, smiling through rising smoke and a variety of aromas. As such guests get a chance to witness their food being prepared by some of the finest hands in the industry. Mad Dogs is known for its attractive selection of beverages from fruit juices to milkshakes, mocktails, cocktails and other spirits. We decided to have a Strawberry Milkshake (Rs. 500) and a Long Island Iced Tea (Rs. 1290). 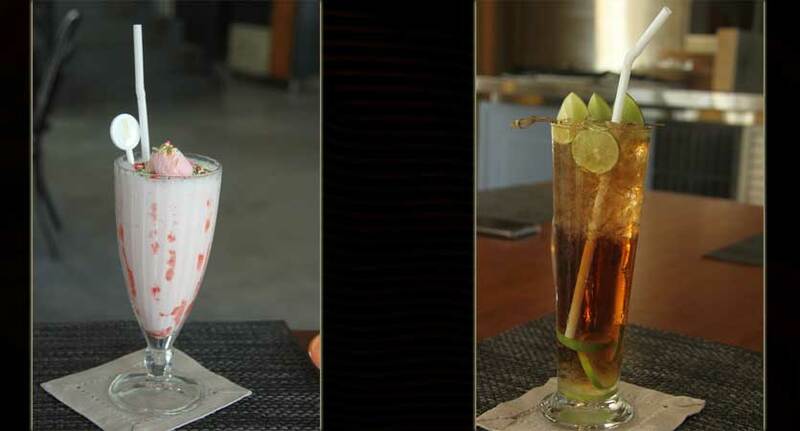 The Strawberry Milkshake was presented with a scoop of ice cream and toppings and the Long Island Iced Tea had a perfect combination of different spirits along with lime and mint leaves. At the wine cellar, guests also get a chance to experience a wine-tasting session guided by its expert culinary brigade. 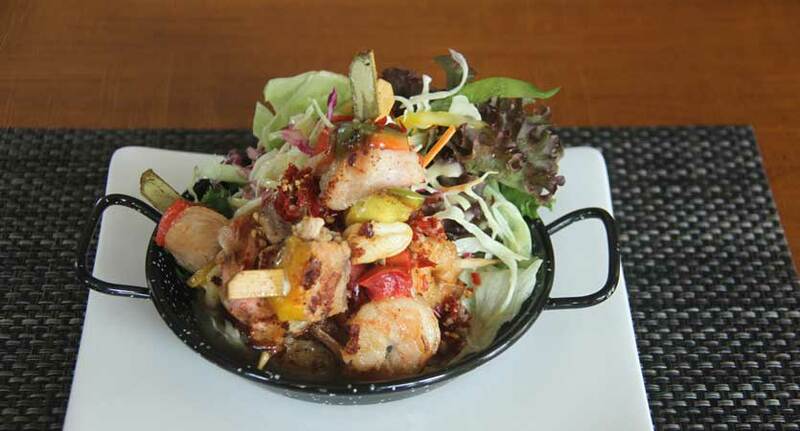 For starters we selected a Tikka Prawn Salad (Rs. 1000) and since they are known for their tapas we had a Mixed seafood kebab with Vietnamese nuoc cham and crispy chiffonade (Rs. 950). The Tikka Prawn Salad was a vibrant dish with cashew nuts, pomegranate, cucumber, gotukola, green beans, green papaya and an Asian dressing. The tapas had a wide choice of seafood from cuttlefish to prawns and fish along with a preparation of finely cut vegetables. 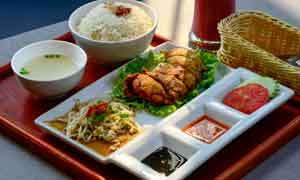 Mains vary from spaghetti to seafood platters and even varieties of rice such as nasigoreng and mixed seafood fried rice. During our visit we opted for their Tagliatelle Pasta with slow braised chicken (Rs. 1200) and a Seafood Platter (Rs. 4500). The pasta was prepared with touches of tomato sauce, parmesan cheese garnished with caramelised vegetables. On the other hand the Seafood Platter had a variety of delicacies fresh from the sea including grilled half shell lobster, jumbo prawns, snapper kebab, calamari fritters, mixed salad and deep fried potato wedges. The half shell lobster was massive in size and had some fairly generous amount of meat inside while the taste of jumbo prawns was heavenly. With the salads and potato wedges seasoning your taste buds the Seafood Platter at The Banyan stands out as an ideal choice for seafood lovers. For dessert, we had a Lemongrass Pana cotta with dried fruit Biscotti (Rs. 870) and a Walnut Chocolate Brownie (Rs. 1550). The brownie was exceptionally tempting with its rich chocolate coating, blueberry compote, vanilla Chantilly and crispy walnuts in every bite. 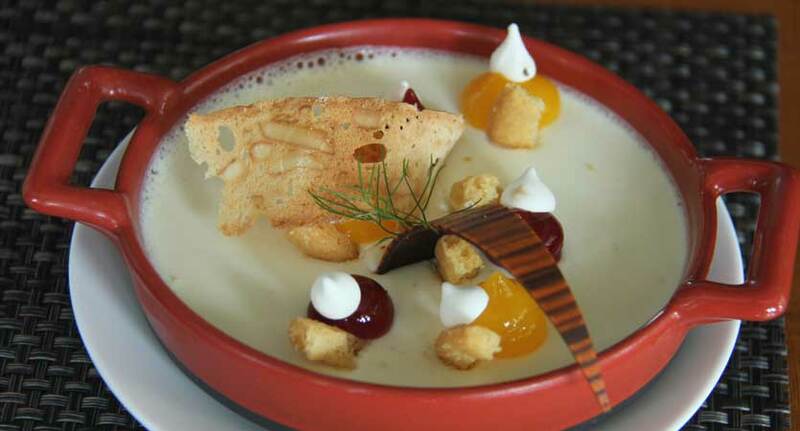 The Pana cotta too had quite a sweetening taste and would be a great choice for those with a sweet tooth. 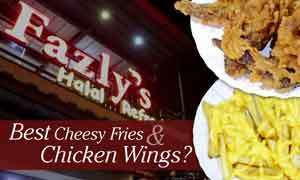 The staff was courteous and friendly and checked on the taste of the food once we were done with each dish. The food was served within 15-20 minutes making it another fine dining place with an efficient service. For those who like to dine out of Colombo, The Banyan is a must visit place where you can indulge in a variety of delicacies especially at their outdoor promenade. Although it was launched last year, The Banyan is emerging as one of the trending eateries in the island and we are sure that you wouldn’t want to miss it!